There are lots of ways to put a clinic together. While individual private sessions are the most popular format, there are a number of other ways to run a clinic. Choosing a format centered on an individual skill set often gives students a more focused learning experience. Combining multiple formats into one clinic makes the clinic more fun and engaging for all who attend. I’ll be happy to help you come up with the right combination of activities that fits your group! This is the most commonly used format for clinics. This is because participants generally come from a wide variety of backgrounds with many different goals. Participants can individually work on skills they are most interested in. 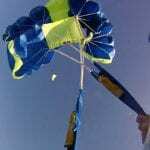 Sessions can be conducted in a ring, cone course, hazard, or over fields and roads. 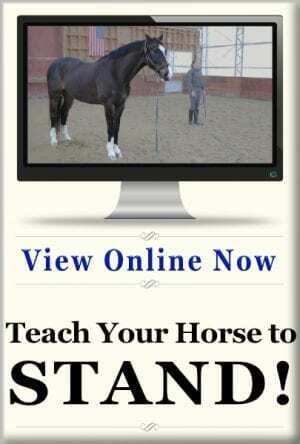 Individuals may choose to have lessons in driving single through 4-in-hand driving, under saddle, or in long lines. 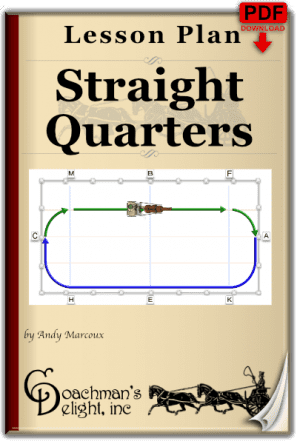 For groups focused on dressage. A participant drives their dressage test in front of me, while I judge and score each movement of the test. At the conclusion of the test we conference to discuss what worked well, and what should be improved. I give the participant some suggestions, and exercises to do outside of the ring. The second participant enters the ring and drives their first dressage test. When the second participant exits, the first re-enters and does their dressage test again – this time with more input from me as I score their second test. At the end of the second drive we have a few minutes to discuss the difference, and perhaps review a few movements. Schedule 2 Drivers per hour. This is essential practice for those intent upon competing in a pleasure show since driving in company can be a challenge in itself. Sessions are run to simulate classes found at a pleasure show such as reinsmanship, working, or turnout classes. Participants will be instructed in ring etiquette, movements and show strategies while driving in a group. Schedule approximately 1 ½ hrs each class. Whether participating in combined driving, pleasure shows, or recreational driving, cones courses can sharpen your skills as a driver. Drivers walk a set cones course followed by a guided walk of the course with discussion. Courses can include typical challenges designed into courses such as serpentines, ‘L’s, ‘U’s, and bridges. Each driver then drives the course once while being scored, followed by coaching, then drives the course again. Schedule approximately 1 1/2 hours for course design and layout. Driving hazards quickly, efficiently and safely doesn’t happen without practice. A well driven hazard is 3 parts strategy, 2 parts communication, 1 part bravery rounded off by execution. Drivers walk two hazards with their navigator without coaching. A group discussion follows with a guided walk through the hazards. Teams receive instruction on planning the right route for their horses and carriages. Drivers & navigators learn strategies in communication, body placement and contingency planning. Teams then drive each hazard once with no coaching, then repeat both hazards two more times with instruction. Hazards should be constructed before the clinic date. Schedule approximately 1 hour for hazard flagging. Long lining is an art as much as a skill. 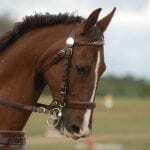 Students of all disciplines of equestrian sports benefit from the lessons learned while long lining horses. Many use long lining in starting young horses, but it is equally useful as physical therapy for horses returning from an injury. 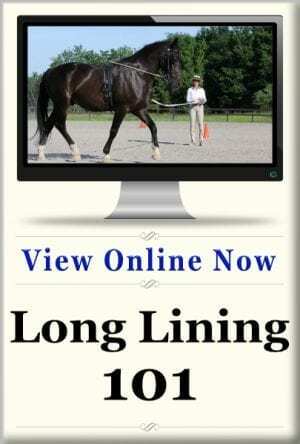 Long lining is also a great tool to develop a horse’s responsiveness to the bit, collection, lateral work and submission. Schedule 1 session per hour. 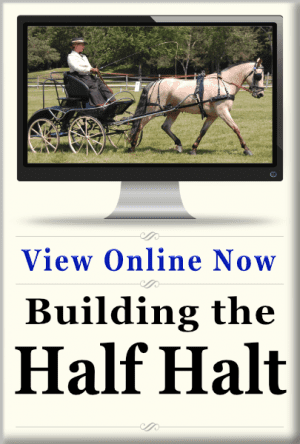 Good reinsmanship (handling the reins and whip) is the building block for carriage driving. The skills your hands, arms, and body must learn are repeated in very few other places in life beyond carriage driving. 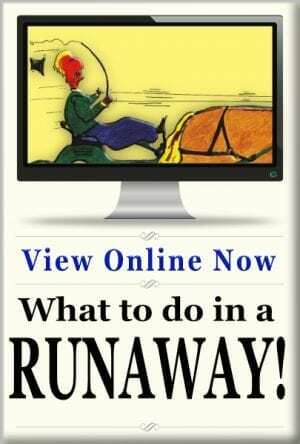 When this challenge is combined with navigating a horse and carriage, the reinsmanship often takes a back seat. While seated comfortably at a reinboard, without the horse and carriage involved, students can begin to educate their hands through a series of guided exercises. 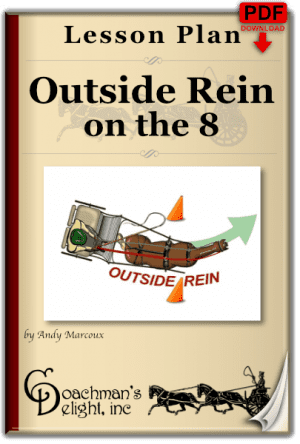 All of the most common rein handling techniques are explained, as well as proper whip handling. This is a very fun class where attendees are frequently surprised at how much they learn. Schedule 2-4 hours class time (you’d be surprised how time flies!). I hate to use terms like “lecture” or “classroom” because they sound so dull and boring. I assure you that my passion and zeal for teaching keep these sessions from feeling anything like your most mind-numbing high school class. Classroom time can help us all understand a subject more completely without distractions. Where possible, Power Point presentations, slides, and other props will accompany lectures. Combing classroom sessions with hands on lessons from one of the above formats creates a powerful learning experience. Since the classroom sessions can accommodate any size group, more people are able to have meaningful participation in the clinic. 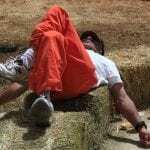 Sessions can be scheduled for 1 to 4 hours each. You can choose topics from any of my past or present online classes [link to online classes landing page]. You’ll receive printable handouts that you can share with the class participants so they can take the learning home with them.